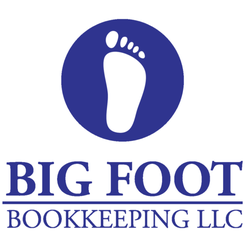 Big Foot Bookkeeping LLC is a full-service accounting and tax firm run by husband and wife Eric and Elaine Morse. Both are enrolled agents with the IRS, QuickBooks, QuickBooks Online Pros, as well as TSheets Pros. Some of the services they offer are bookkeeping, fixed asset management, payroll support, income tax preparation and planning, and QuickBooks training and assistance. Work For Big Foot Bookkeeping LLC? Claim This Page.